Why is Collaborative Leadership Important? Organisations nowadays have to keep themselves afloat with the ever-changing pace of the business world. The shifting movement is going towards a more collaborating, innovating and team-based way of operating. As a result, top leaders need to take a more open approach in the workplace in which each and every member of the team engages and contributes to the overall success. Collaboration would be beneficial to not only the company but also to the employees. Working collaboratively creates an inclusive environment, allows individuals to be more creative, daring and striving towards excellence. Collaborative leadership is basically the enhanced relationship between managers and employees. They cooperate to accomplish a shared goal. Leaders must be able to work with people from other teams, branches or from another department to make sure the workflows and ideas are aligned without any confusion. Moreover, companies now adopt cross-functional teams to generate more diverse ideas. This means that team leader’s authorities often limited to just their field, thus leads to the need for collaboration and shared knowledge. In details, a collaborative leader must be able to create a company culture that yields trust, mutual respect, and shared aspiration in which all members aim to fulfil one mutual goal. What makes a collaborative leader? 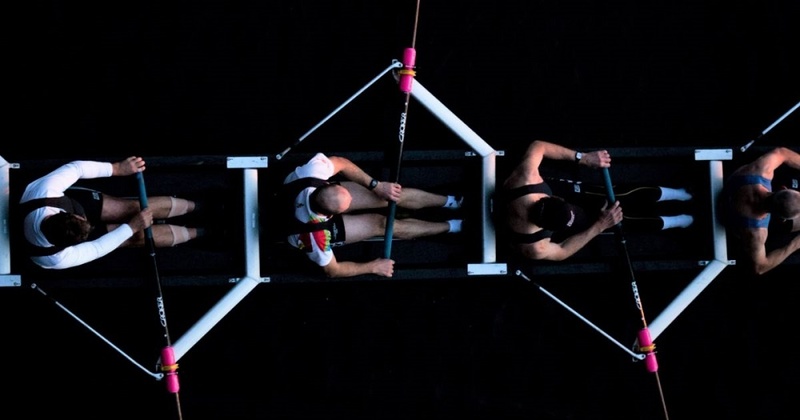 In today’s era of continuously shifting and connecting business, leaders must obtain collaborative mindsets, they should become the main factor that creating the collaborating nature within the organisation. In order to be more collaborative, leaders need to nurture their emotional intelligence and social engagement, i.e. the ability to control and deeply understand the emotions, desires and motivations of their team members. Read more: How different is business leadership and management across the globe? Secondly, knowing your own strengths and weaknesses is also one of the first steps to become a successful leader, especially a collaborative one. Self-leadership means that the leaders need to be confident and humble, allowing their subordinates to speak their minds, ideas and contribute to the process, including the most crucial phases. In other words, leaders should be open to new ideas, learn from their employees and develop the team as a whole. Put aside their ego, collaborative leaders encourage shared knowledge, power and credit, navigate both themselves and their team into a mutual purpose. Once again, another aspect relating to Emotional Intelligence of a leader: empathy and patience. Collaborative leaders must understand their employees. During the transformation, conflict is unavoidable since there could be opposite opinions/ideas among peers, the leader’s role is to balance the workforce and treat conflict as a chance for breakthrough and innovation. The process as a whole takes time and effort as it requires a large number of participants, sometimes the whole company, therefore, collaborative leaders need to keep the atmosphere calm and responsive. Identify the silos of any department and eliminate them by collaboration between personnel. Silos reduce your overall efficiency, negatively affect relationships between peers and stop your organisation from achieving your goals. Collaborative leadership prevents silos, helps you carry out your project without any frictions. Blur the experience gaps and operate as if every member were peers. The purpose of collaborative leadership is to value the ideas and opinions of team members. Giving everyone a possibility to contribute to the project. Start off with a system or a process for communication and coordination. Leaders must ensure that the operation is transparent and logically divided. Guarantee your employees with help, make sure they understand the expectations as well as the target achievements. In short, as the business world evolves and changes ceaselessly, the collaboration between leaders and employees is the next crucial step for businesses. Collaborative leadership allows companies to get valuable ideas, encourage every personnel aiming for one collective outcome. Begin training and developing your leadership skills with the abilities and competencies to lead collaboratively is starting to unleash the collective intelligence and bonding your workforce with positivity. 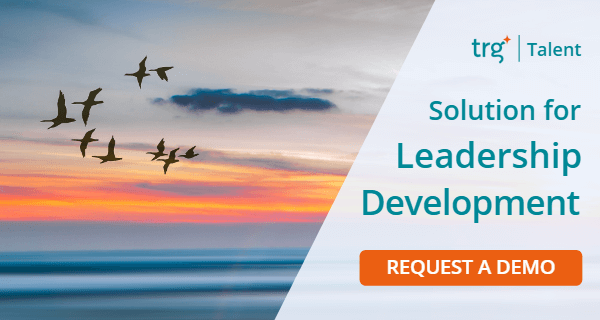 In urgent need of "upgrading" your leadership development program? Visit our TRG Talent page or talk to our experts by requesting a free demo today!